Two Paths America is a non-profit 501(c)4 organization created to promote reasonable and proven solutions to America’s challenges. Two Paths America is focused broadly on public policy that encourages a Balanced Budget Amendment to the United States Constitution, the need for a strong national defense rooted in America’s international leadership, a forward-looking national energy plan that meets current needs economically while developing renewable energy resources for the future, and a renewal of a national sense of community and exemplary citizenship. Specifically, Two Paths America will provide infrastructure to support this agenda, including staff, list management, social media, public relations and educational events. When America shrinks from its historic leadership on the international stage, the world grows more dangerous and our country less safe. History foretells that when our international alliances are taken for granted and left to decay, increasingly dangerous aggressors gain strength. Our once-vigilant alliances have failed to deal with the most urgent issues facing them, challenges such as the refugee crisis, secure borders, cybersecurity, and intelligence-sharing in the face of terrorism. We need leadership to fix those weaknesses, but in ways that help our alliances evolve while projecting the strong underlying values that have bound nations of our alliances together and kept the peace for so many decades. If we fail to stand for values, our way of life built on them will disappear. America needs to rebuild a national consensus favoring strong, principled American leadership in the world. Continued deficit spending and resulting increases in the national debt are seriously weakening our nation, and must be stopped. The political system, including both political parties, has proven incapable of the discipline and restraint necessary at the national level to solve the problem, yet in states across the nation, members of the political system balance budgets routinely because of state constitutional requirements. By amending the Constitution to require balanced budgets, we will make a firm and emphatic commitment to sound financial management of our country, and we will end the deficits that are undermining us. Two Paths America is committed to passage of a Balanced Budget Amendment. To date, 28 states have passed resolutions calling for action towards a federal balanced budget amendment. Only six more are needed to trigger change. To date, 28 states have passed resolutions calling for a federal balanced budget amendment. Just six more states are needed to trigger change. Recent passage in Wisconsin, Arizona, Oklahoma, North Dakota, South Dakota, Utah, Ohio, Louisiana, Tennessee, Florida, Michigan, West Virginia & Wyoming has brought the total to 28 states that have passed a Balanced Budget Article 5 resolution: Alabama, Alaska, Arizona, Arkansas, Colorado, Florida, Georgia, Indiana, Iowa, Kansas, Louisiana, Michigan, Mississippi, Missouri, Nebraska, New Hampshire, North Carolina, North Dakota, Ohio, Oklahoma, Pennsylvania, South Dakota, Tennessee, Texas, Utah, West Virginia, Wisconsin and Wyoming. 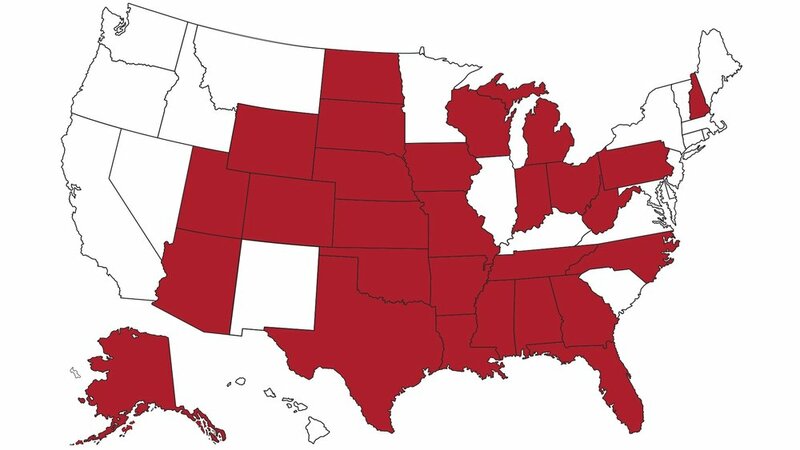 Only 6 more states legislatures are needed to pass resolutions calling for the first Article V convention in US history. Momentum is building in states as former Ohio Governor and former U.S. Congressman & House Budget Chairman John Kasich travels the country to bring national attention to the issue. The strength of our country is in the American people, in our communities and neighborhoods, and in each of us individually. It is up to each of us to choose a higher path for ourselves and our communities, and we need leaders who will stand strong for historic American values. These include mutual respect, a spirit of political compromise, recognition that government policies must be broadly accepted to be effective, conviction that our history as a melting pot is a major national asset, and determination that no one is excluded from opportunity to participate in the civic life and prosperity of America. Two Paths America is dedicated to generating renewed emphasis on these values, and on the need for Americans to exercise the full rights and responsibilities of American citizenship. A bountiful supply of reliable, reasonably priced energy is a principal key to our economic competitiveness, and therefore to our prosperity as a nation. We must institute a forward-looking energy plan that keeps present energy prices as low as possible, respects the environment, and applies the American innovative spirit to the development of renewable energy supplies for our future. Energy must be used as a tool of economic growth rather than a weapon of political ideology. America has the capacity not only to solve its own energy challenges, but through its technological superiority to raise the entire world’s standard of living. It is a challenge we must embrace and conquer.